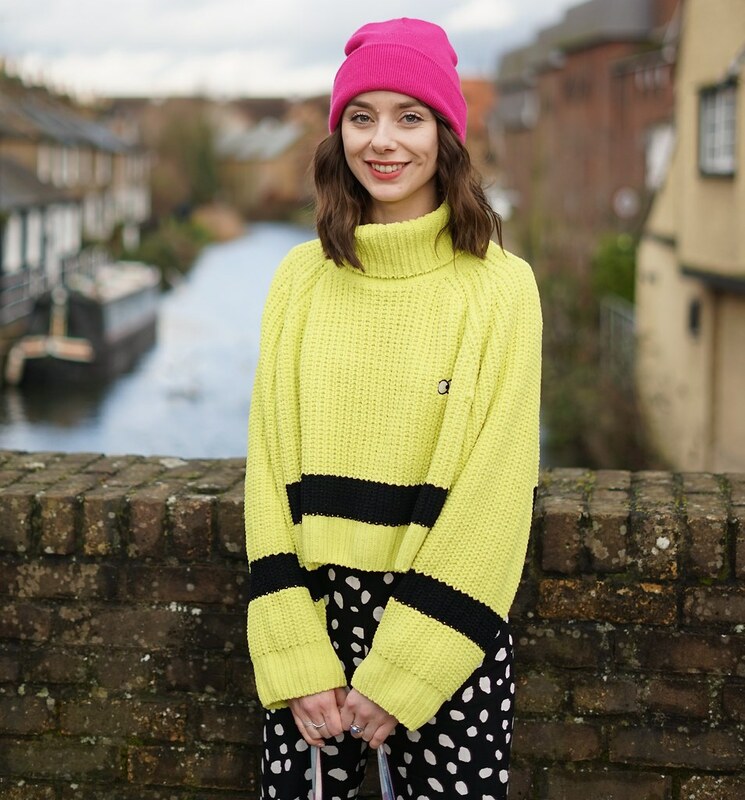 After watching lots of London Fashion Week shows on the LFW website I have compiled some of the 'trends' I spotted throughout some of the shows. This is something I am quite excited about to be quite honest, I think orange is a very underrated colour. I for one cant wait to add some orange to my wardrobe (I may already have a few things in my ASOS saved item, oops). 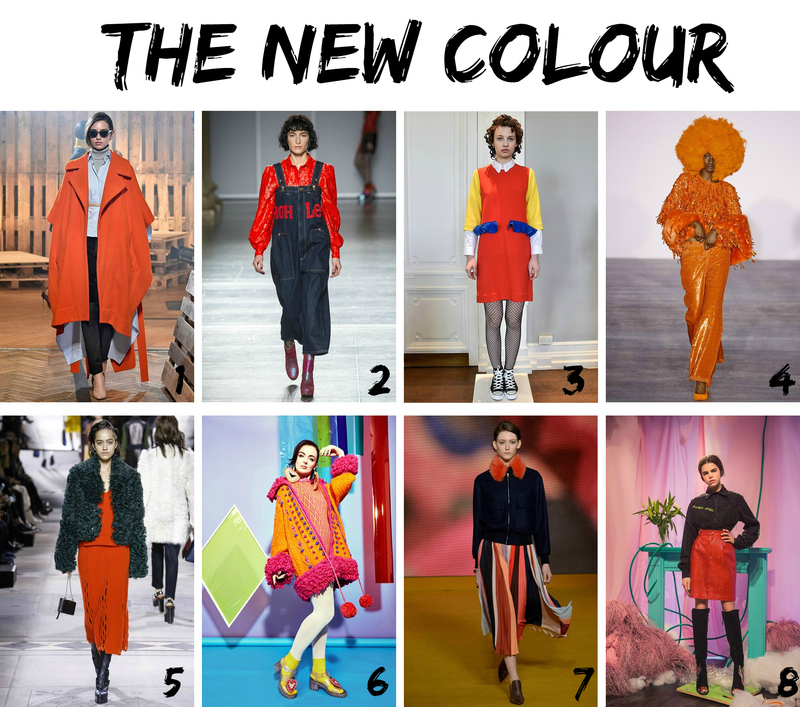 If you are not a big colour person, I thought the Paul Smith orange collar was perfect for some colour inspiration for you those of you that prefer a more monochrome look with a touch of colour. Expect to see some tangoed looks from me soon. The ruffles, oh the ruffles. This one does terrify me a little, will this be the new era to overtake our highstreets, I really do hope not. 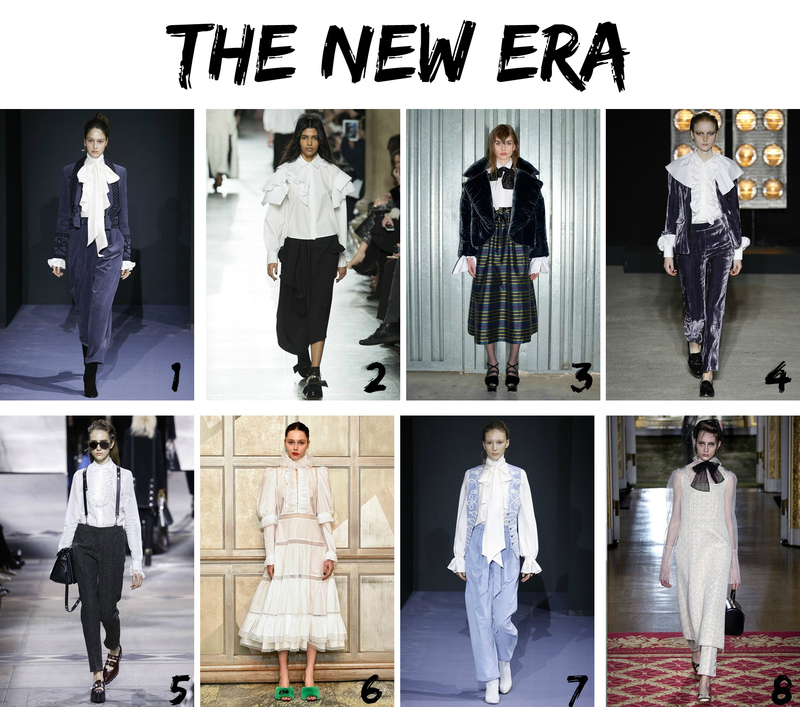 This would make the task of buying a new shirt a traumatic experience for a rufflephobe like me.800 These looks are maybe the new take on boy meets girl - a touch of the 1800's. If regency is your thing you may be excited and want to give Beau Brummel a run for his money. 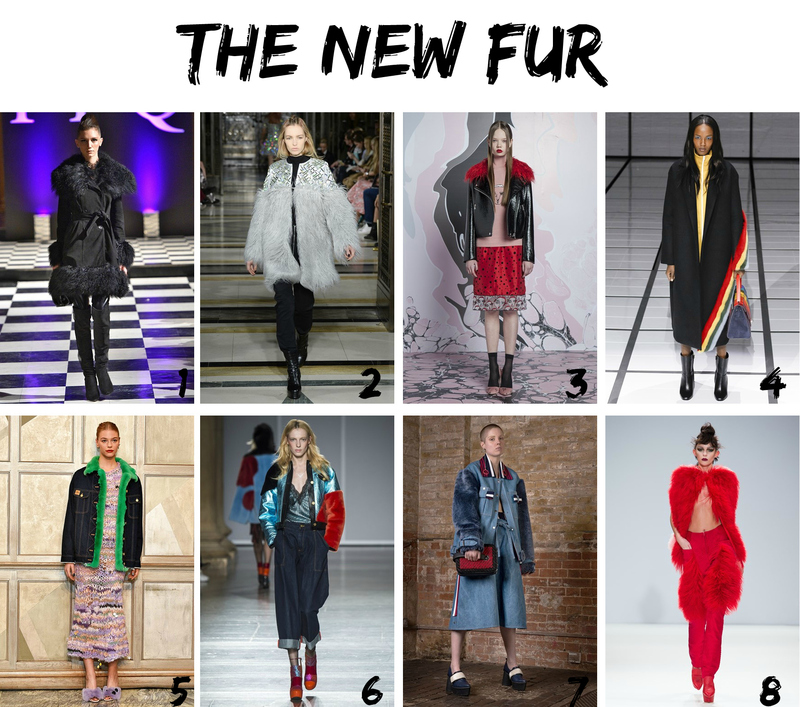 I'm still all about a full faux fur jacket but these designers have just added a snipped of fur (some more than others) to an item of clothing. I love it, the pink fur trim trousers are amazing! I love the illustration detail on these pieces, the smock dress is absolutely perfect and the there are cats and faux fur. What more could a girl want?